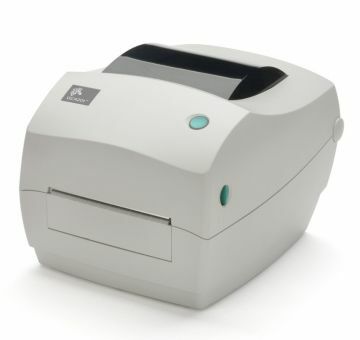 Label printers are a popular type of computer printer that manages to print on various ‘self-adhesive’ label materials and even on card stocks. This particular device comes down with built-in keywords as well as a display for its stand-alone purpose and is known as the label maker. The label printers are quite different than all the other printers out there only due to its special mechanism that handles rolled stock or the ‘tear sheet stock’. Mostly it is used in various applications like packaging labels, supply chain management, fixed assets management, retail price marketing and so on. Therefore, if you are willing to use label printers in your business operations, then you must have a clear idea of the different label printer types in the market. You would never regret the purchase of the thermal transfer label printers as they are known for their high quality and long-lasting labels. 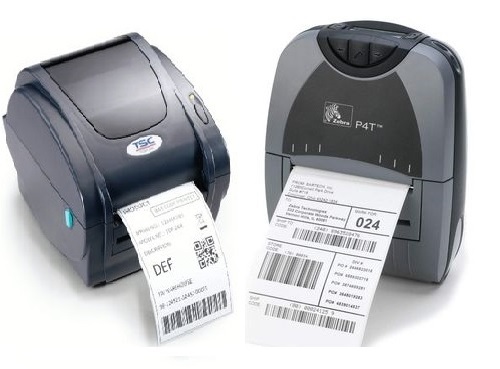 This type of label printers can range from a basic, entry-level, low-cost variant to the industrial grade. In most cases, it has been observed that the industrial label printers are acquired by the companies that require professional high-quality settings for a large volume of label printing. Most of the thermal transfer printers make use of ink ribbons that are made up of resin, wax or the blend of both. You can also procure the color label printers as per your requirements. The use of direct thermal labels is usually picked up for affordability and also for the easy setting procedure of the entire label printer process. With the use of the direct thermal label printer, one can make sure that the labels are vibrant and easily readable by all the employees as well as customers. There are a few industries that prefer to opt for the wireless/mobile label printers for instant label printing purposes. Receipt printers are undoubtedly a vital part of a restaurant or the point of sale (POS) of the retail stores’ system. This particular concept of using various types of receipt printer special is quite essential for initiating and processing the payment structure, print the card slips, send specific order to the bar area or kitchen and print the customer receipts as well. 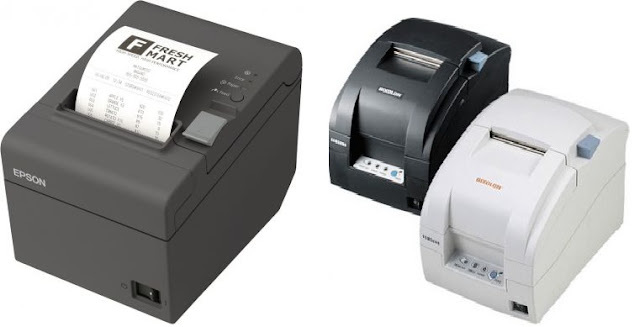 You would get to find three distinctive kinds of receipt printers – thermal receipt printers, impact/dot matrix receipt printers, and the ink jet receipt printers. In order to recognize the kind of printers which would prove to be the best one for your business, you must follow a few essential steps. It is very important to take your business requirements into consideration. You need to recognize the fact that the Impact printers usually tend to print in red and black colors. In fact, they have the ability to print various graphics as well. They are most ideal for kitchen environments. 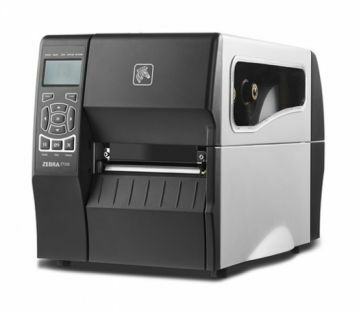 On the other hand, the thermal receipt printers print high-quality materials quickly and very quietly. Moreover, if you are looking forward to the procurement of the inkjet printers, then you must know that efficiently print coupons and color logos. So you need to take all their positive aspects into consideration while making the decision. The budget plays an important role in choosing the kiosk printers for your business. You would find a variety of printers in various price ranges and it would totally be up to you whether you are willing to go for a high range printer or a low range one. In case, you are looking for a high-quality printing role, you would have to get the mobile receipt printers, regardless of the high price. But if you are looking out for a basic printer to fulfill the everyday printing needs, then you would be able to choose a cost-effective printer solution without any doubt. You just have to go through the market carefully and make your final pick after accessing all the resources. Label printers are used by businesses and people all over the world. They are printers with which labels can be created for different purposes. Label printers are of different types and prices and can be applied to various areas. Label printers have many benefits which make it a great appliance to be used for many businesses. They are a cost-effective solution than printing labels at a shop. If you have small requirements for labels then using label printers is the best solution as you can print many labels without having to incur any costs. Thermal label printers are the most common type of printer which is used by industries for printing labels that would last for a long time. In this kind of a printer, heat is used to print the labels making it resistant to oil, hot and cold temperatures, chemicals and many other things. Thermal labels are tough in nature which makes it highly durable and therefore it is a cost-effective option for the business. They can be used easily without having to get any professional training. The label printers can be used by anyone. They just have to be attached to the computer and the labels will be printed easily. There are also certain wireless label printers which can print labels without having to attach them to a computer. They are portable printers which you can carry anywhere. There is a large variety of label printers which can be used for various purposes. Normally label printers do not print large quantities of labels, but there are industrial label printers which can printer moderately large quantities of labels which are required for industrial use. These printed labels are of much better quality than normal labels since they are exposed to more wear and tear in industrial products. You can have both color and black & white labels depending on the kind of label printer you are using. Colour label printers print label in high definition colors which can be used to label specific products. These benefits of label printers suggest that they are an easy way out to printing labels which you can use for many purposes without having to depend on a third party. Receipt Printers are an essential part of businesses today. To run a business without a receipt will be taken as a criminal offense at present times. Be it retail, food or any kind of business, receipts after your purchase are your basic customer rights. However, if you own the business, printing out a proper receipt will help you to a lid certain problems as well. So there are plenty of receipt Printers in the market. How to choose the one printer that is the best for you? Here is a step-by-step guide to choosing the right receipt printer. What kind of business are you involved in? What kind of business do you own? These are crucial questions, as these would decide the kind of printer you need to invest in. There are mainly three types of POS printers which are inkjet, impact and thermal printers. And every business has specific needs. Impact printers can print in red and black print and are known to withstand various kinds of temperatures, unlike thermal printers. Therefore you can use impact printers in kitchens and restaurants with much ease. If you need printers that are fast in their work, go for thermal printers. And the most used printer is the ink jet printer. This is the most important question every businessman needs to ask themselves before investing. Depending upon the budget, you will have to get your receipt printers. While impact printers have the least price, and inkjet printers are the costliest. Thermal printers are moderately priced but also keep in mind that while impact printers are the cheapest, they are the slowest in their work as well. So you will obviously have to compromise a bit if your budget is slow. At the end of the day, if your printer is not easily compatible with your POS System, then all the investment would be of no use. Therefore, these are the essential points that you need to check before installing a receipt printer for your business. The industrial label printers are a bit different than the everyday printers as they tend to print on various self-adhesive label tags or material. In most cases, the label printers are used for heavy-duty procedures in distribution centers warehouses and factories. Being an innovative and essential kind of printer, it has a number of benefits in different work sectors of the industry. Be it the manufacturing industry or the retail industry, companies are nowadays preferring the label printers in various work fields. Industrial label printing processes make use of thermal transfer in order to print the required graphics or text. It has been observed that thermal print has a relatively high resistance to procured fading while it also has the advantage of printing on a variety of materials. Plus, the Industrial label printers are also efficient in printing barcodes. Due to its capability of printing barcodes, an industrial label printer is effectively used to keep track of different warehouse goods. If a particular manufacturing company owns an industrial label printer, it has the extra edge of printing labels and tags when and where it is required. Such instant service saves the money and associated time while fulfilling a particular order. Moreover, with the presence of the industrial label printers, various warehouse, factories and distribution centers get the perspective of shipping the goods at any point in time. There would be no delay in the shipping procedure due to the unavailability of label tags on time. We have always noticed the same old label tag on our products since ages. Would you not like to see something new and creative on your product packaging? Well, an industrial label printer has the ability to do so. It has the potential of printing in color and is also compatible with a PC. So the manufacturers get the opportunity to make labels of different shapes, size, and designs for their product. This becomes a plus point while shipping the products to the retailers and finally to the consumer. The barcode scanners are the electronic tools that are used for reading and deliver a multitude of the printed barcodes to a computer. These scanners include lens sensors, lenses as well as the ‘light source’ for the purpose of translating all the ‘optical impulses’ to the ‘electrical impulses’. The barcode scanner comprises of the decoder circuitry which analyses the image data of the barcode which the sensor provides and sends the barcode content to the scanner’s ‘output port’. There are many kinds of the barcode scanners from the single line barcode scanners to the ‘two-dimensional’ imaging scanners which can be classified based on the technology employed and the housing design. Omnidirectional Barcode Readers: The omnidirectional scanners use a series of the straight or curved scanning lines in various in the ‘starburst form’. The scanners generate different patterns of beams in various orientations that permit reading of the barcodes to the ‘barcode readers’ in different angles. Many of the barcode readers make use of the ‘polygonal’ single rotating mirrors as well as various ‘fixed mirrors’ for generating the complex scan patterns. Camera-Based Readers: The ‘camera-based’ readers are the 2D barcode scanners which make use of the image processing procedures and the camera for decoding a bar code. The video camera readers and the large ‘field-of-view’ readers are included in this category. Handheld Scanner: The handheld scanner is equipped with a handle as well as a trigger button which helps in switching on the ‘light source’. Stationary Scanner: The ‘stationary scanner’ is either wall or table mounted and are used widely at the ‘checkout counters’ in the supermarkets and the retail shops. PDA scanner: The PDA scanner or the ‘Auto-ID’ PDA are the inbuilt barcode scanners or are the attached barcode readers. Automatic reader: The automatic reader is a ‘back office’ tool which is used for the purpose of reading the ‘barcode documents’ at the rate of 50,000/hour. Cordless or Wireless Scanner: The cordless scanner is operated with batteries and is used for the purpose of transferring the data to any connected device like the PC. The electronic device, the barcode scanners can read and output ‘printed barcodes’ to a computer. It has a light sensor, light source, and a lens. The ‘light sensor’ translates ‘optical impulses’ to ‘electrical impulses’. They contain ‘decoder circuitry’ which analyses the ‘barcode’s’ image data offered by the sensor as well as sending the ‘barcode’s content’ to the scanner’s ‘output port’. Pen-Type Barcode Scanners: The ‘pen-type’ scanners consist of the light source and the photodiode which is placed on the pen’s or wand’s tip. The photodiode of the scanner measures the intensity of light which is reflected from the source of light when the tip of the barcode crosses space in each of the bars as well as the printed code. 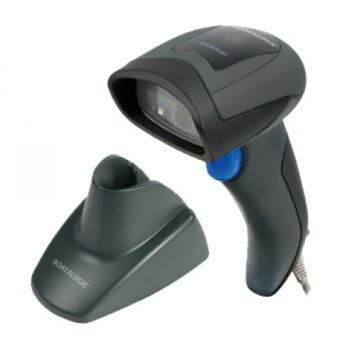 Laser Barcode Scanners: The laser-type barcode scanners work on the same principle as that of the pen scanners with the difference that it uses the ‘laser beam’ as the ‘light source’. This type of scanners uses the ‘reciprocating mirror’ or ‘rotating prism’ for scanning of the laser beam back and forth across barcodes. LED Scanners: The CCD readers or the LED scanners use tiny light sensors which line-up in the reader’s head in one row. Each sensor calculates the intensity of light in front of it. Omnidirectional Scanners: The omnidirectional barcode readers use the straight or curved scanning lines in the form of ‘starburst’ in various forms. Unlike the single-line laser barcode readers, they generate various orientations of beam patterns that allow them to read the barcodes offered to them from different angles. These barcode scanners use the ‘rotating single’ polygonal mirror or a ‘mirror cluster’ for producing the complicated ‘scan patterns’. These barcode readers help in reading the poorly printed, wrinkled and the torn barcodes. ‘Cell Phone’ Cameras: The ‘cell-phone cameras’ without the feature of ‘auto-focus’ are not ideal for ‘barcode format’ reading. The ‘2D barcodes’ are cellphone optimized. With cellphone cameras, the clients can play MP3 and book the catalogs.